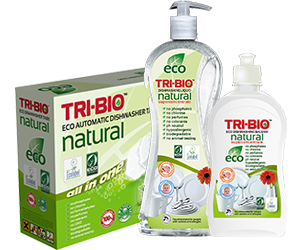 Line of TRI-BIO ecological natural cleaners, based on natural plant and mineral ingredients. They are the safer and very effective alternative to harsh chemical agents. They are free of dangerous chemicals, and still as effective as well-known harsh chemical cleaners. They are safe to use without gloves. Recommended for people with sensitive skin and those suffering from allergies and asthma. Concentrated and economical in use. All products awarded with ECO certificates. Tough on dirt, but gentle on the skin and the environment. Do not contain: phosphates, harsh solvents, chlorine bleaches, abrasive substances, colorants, no perfumes toxic substances. All products pH neutral. They are recommended for people with asthma and allergies. All products have low VOC’s, easily biodegradable, minimum impact on aquatic life. All packaged in recyclable packaging materials. No animal testing. All products are safe for use in houses with septic and other types of onsite sewerage system. ALWAYS SAFE! ALWAYS GREEN! ALWAYS CLEAN! 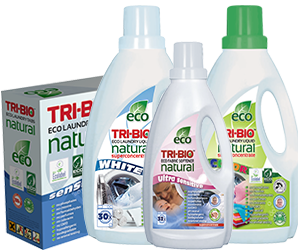 Our goal is to inspire consumers, to use environmentally friendly, ecological cleaning products. To show our consumers that ecological cleaners can clean well without costing more. We aim to be № 1, most trusted ECO-BRAND!